Both the fights between Thato Bonokoane and Innocent Matengu for the vacant South African featherweight title, and the clash between Brandon Thysse and Linda Ntshingila for the vacant Gauteng junior-middleweight title ended in draws, at the packed to capacity Kagiso Memorial Hall and Recreation Centre in Krugersdorp on Saturday night. However, the officials at ringside erred, as in terms of the South African Boxing Act 2001 (Act No. 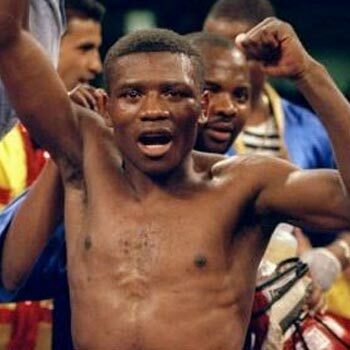 11 of 2001) as listed on the Boxing SA website – in a championship fight for a vacant title if a bout ends in a draw, each judge shall nominate a winner and the winner of the bout shall be the boxer nominated as the winner by the majority vote of the judges. (Page 84 No 26161 Government Gazette, 26 March 2004 Decision 35). In the main event between Bonokoane (54,94kg) of Gauteng and Mantengu (55.34kg) from KwaZulu Natal, both fighters came out slow, sparring for openings in the first round with few scoring punches landed. Mantegu, who had height and reach advantages, used his southpaw right jab to possibly shade the second round. Through rounds three to eight the fight became untidy, with both fighters missing with wild swinging punches, pushing and holding, and even posing at times with no punches thrown, which kept referee Thabo Spampool busy as he had to separate the fighters on numerous occasions. However, from rounds nine to 12 the fight exploded into action and in round 11 the fighters stood toe-toe in the centre of the ring, throwing punches in the best round of the fight. Going into the final round both fighters showed signs of tiring and backed off, with Mantengu possibly having done enough to take the decision. Judge Pumeza Zinakile scored it 116-112 for Mantengu and judge Simon Mokadi had it 116-112 for Bonokoane, and the third judge Jaap van Nieuwenhuizen scored it 114-114. Bonokoane took his record to 9-1-3; 6 and Mantengu’s record went 14-2-1; 7. In the main supporting bout and the best fight of the night, Linda Ntshingila (69.20kg) and Brandon Thysse (69,50kg) fought to a gruelling 10-round draw for the vacant Gauteng junior-middleweight title. The scores were 97-93 for Thysse and 96-94 for Ntshingila, and the third judge had it at 95-95. The four-fight novice Ntshingila (4-0-1; 4), who fights from the southpaw stance, surprised the critics as he took the fight to the more experienced Thysse (10-1-1; 9), who battled with his opponent’s southpaw stance. Ntshingila finished the match with a puffed up right eye and possibly did enough to take the decision by narrow margins. Junior-featherweight: Cain Dube, beat Sabelo Mazibuko, pts 4; Junior-lightweight: Anthony Grobler, beat Zimsele Magagula, pts 4; Lightweight: Tiisetso Padi, beat Khumbudzo Bandatswana, tko 2; Junior-middleweight: Sharvontigh Koopman, beat Francis Matika, ko 1; Lightweight: Khaya Busakwe, beat Emmanuel Mhlongo, tko 4; Junior-welterweight: Marcus Lebogo, beat Humbulani Netshamtshedzi, pts 6.